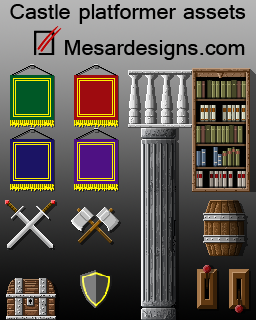 As I could got round to it I have added some more assets to this pack. 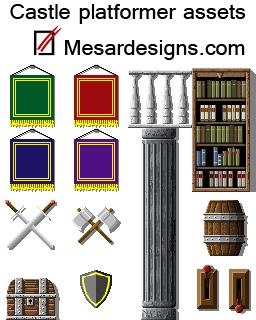 Everything is based on a 64x64 tile set. 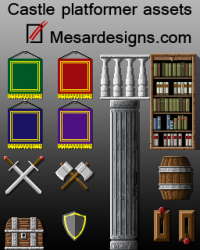 The weapons and shield can be overlaid on the wall hangings to give a lot of different variations. http://opengameart.org/content/2d-castle-platformer-starter-assets was the original set on here. Again comments, critique welcome or anything you would like added or seen and if you do happen to use any of them msg me so I can have a look.